December is always the catch-up month for books I couldn't review earlier. 289-292 and 304 are from a postal book swap that occurred throughout the year; 317 is one I somehow left out earlier this year. I read so many great books for my personal reading challenge to read Canada and Alaska in 2018! Thanks to Casey, Lindy, Rachel, and Shawn for stellar recommendations for the year. 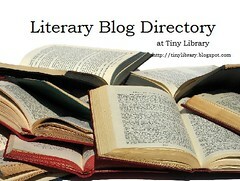 I didn't get to everything but read widely in location, genre, and era. What a great year! 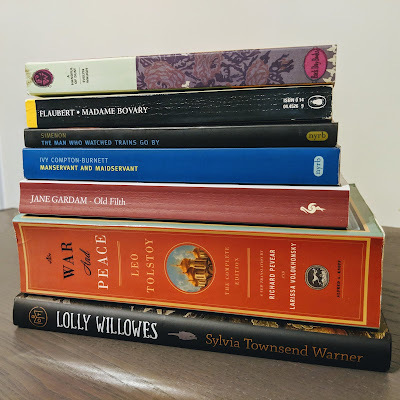 For one of my reading goals in 2019, I'm going to participate in the Back to the Classics Challenge organized by Karen from the Books and Chocolate blog. You can sign up through March 2019, and the rules are on her blog. There are 12 categories but you get to choose how many you want to accomplish. I found potential titles for each but my actual goal is 6, and if I do more than that, even better. I learned about this challenge when chatting with Ruth(iella) on Episode 134 of the Reading Envy Podcast. Ruth is an inspiring reader because of how many classics she reads! I will indicate if I own these books. 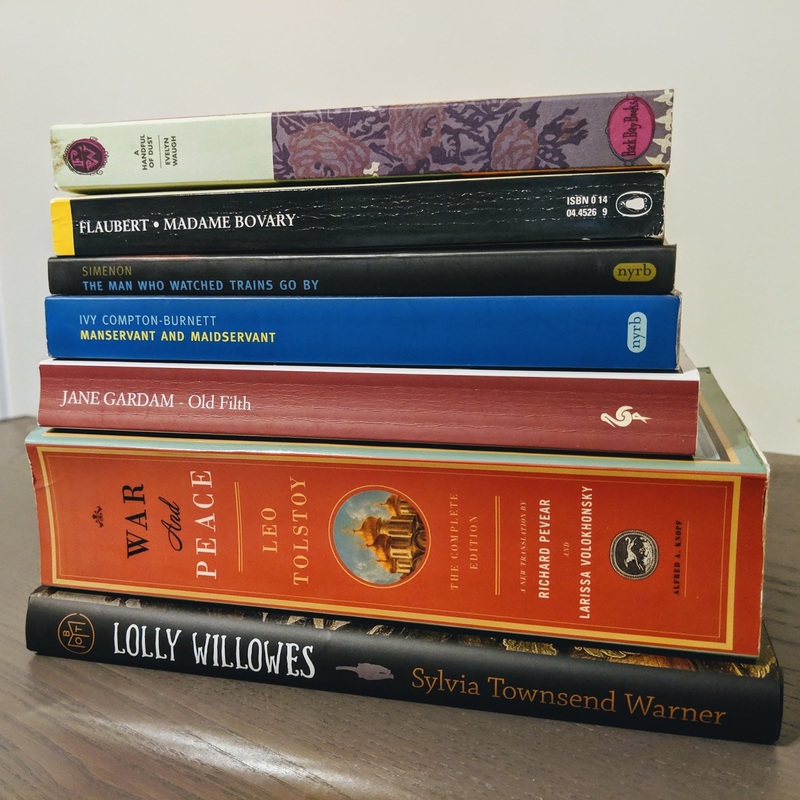 I tried to start with books already on my shelves, or books that would intersect with my other reading goals for 2019. Full disclaimer - I asked the publisher (Two Dollar Radio) for an advanced copy of this book because it fit in so perfectly with my Canada-Alaska reading goals for 2018. It doesn't come out until March 2019 in the states but has been out in the UK in 2018. This is a novel, but is written in such a creative non-fiction style that I had to keep reminding myself that the author's name is Abi and that this is a fictional account. There are charts, maps, packing lists, and photos that all lend an incredible realism to the narrative. The character of Erin is also a filmmaker so at times there are transcripts of interviews or soliloquies that add another layer to the story. At the core is a philosophical novel, exploring the idea of wilderness through the experience of a young woman venturing from England to Iceland, Greenland, and finally ending up in Alaska not far from where Chris McCandless ventured out. (In fact, the book seemed to be so directly in response to Into the Wild that I stopped and read it before continuing.) The author and/or the narrator want to understand why the wilderness and its exploration seems to be something held to be masculine, and to prove it doesn't have to be. She confronts the ideas espoused by Jack London, Jack Kerouac, Thoreau, Ted Kaczynski (this one was a difficult surprise but makes a lot of sense in the end), etc. In some ways it claims wildness as unique to women, and there are some delicious statements about this near the end that I can't quote here since I have an uncorrected proof. Still, I can tell from the author's acknowledgements (I always read them, don't you), and the way she titled chapters after items from Ursula K. Le Guin and female scientists, that she has these voices in her head, but narrowed down to the handful she did on purpose. This was a great read right after I had read Travels in Alaska by John Muir, Kings of the Yukon by Adam Weymouth, and Into the Wild by Chris McCandless, because the solitary male (who isn't in fact by himself) "discovering" the wild is all sorts of problematic in any century, and it was an antidote to read this book afterwards. It is immersive, thought-provoking, and a unique reading experience to be sure. 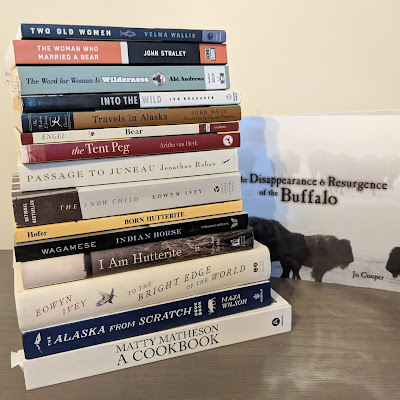 I squeezed in another book for my year of reading Canada and Alaska (and this book travels to both since the Yukon River extends through Alaska and Western Canada.) I was expecting more of a travel narrative about the author's canoe trip(s) up and down the Yukon River in 2016 and 2017, but this is almost exclusively about the king/Chinook salmon. It reminded me a lot of another book entirely about fish that I read, never expecting I'd read another: Cod by Mark Kurlansky. To be fair, is there any other area so closely tied to a single species for its livelihood? I felt the author was strongest in his reporting of facts (economics and trends of fish, history of fishing in the region and worldwide), not very good at describing the landscape, and started to make connections I wish he'd spent more time on (identity without fish, regulation as a form of cultural erasure, etc.) It is decent and current but not the best non-fiction Yukon account I read this year. I put out the call for the best books you read this year, so this episode is a combination of my favorite reads in 2018 and the books you liked best. Not all books are published in 2018 since that's not how most of us read. And thanks to Casey for the episode title idea. Download or listen via this link: Reading Envy 139: Stocking Stuffer (Best of 2018). 10% Happier by Dan Harris.